In late 2018, we asked shippers to participate in our 4th annual State of the North American Supply Chain survey. The purpose of the survey is gauge the challenges that shippers faced over the course of 2018, and to gain a better understanding of what they believe will be their biggest challenges in 2019. 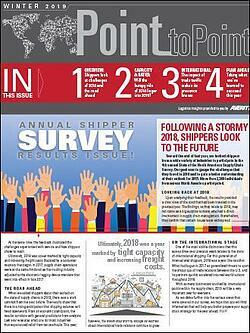 More than 2,300 shippers from a wide variety of industries participated in the survey. Upon compiling and analyzing the results, we found several key points of interest. In order to help other shippers plan and prepare for the rest of year, we've compiled the results into a free white paper. This white paper is free to download and share with colleagues and friends. We hope that you will find value in the feedback provided by more than 2,300 industry peers.